Using APKPure App to upgrade Aquarium Live Wallpaper, fast, free and save your internet data. Welcome to download beautiful aquarium live wallpaper! Colorful corals, aquatic plants, a variety of swimming tropical fish! This is a really undersea world! So crazy, so beautiful! This app will not consume your battery when you in daily use! Now comes with HD version just for your Android tablets! You will find this is the best free aquarium live wallpaper on Google Play! Please rate for this app or share it with your friends to support us! Open Aquarium Live Wallpaper app , click on the " Continue " button, select "Aquarium Live Wallpaper" from the list, and set the phone wallpaper . This is the best free live wallpaper for your Android cell phone. An aquarium is a vivarium of any size having at least one transparent side in which water-dwelling plants or animals are kept and displayed. Fish Keepers use aquaria to keep fish, invertebrates, amphibians, aquatic reptiles such as turtles, and aquatic plants. Many tropical fish are coral reef fish. Such like clownfish, African Jewelfish, Angelfish, Asian knifefish, Thailand Betta Fish, Bleeding Heart Tetra, Catfish, Goldfish, Jellyfish, Shark, dolphin and so on! Many marine tropical fish, particularly those of interest to fish keepers, are those that live among or in close relation to coral reefs. Coral reefs form complex ecosystems with tremendous biodiversity. Among ocean inhabitants, tropical fish stand out as particularly colorful. Advertisement can support us to develop more free great live wallpapers. This is a true free app! You don't need spend any money to use it! So please understand that we use the ad in this app. This live wallpaper has been tested on latest devices such as Samsung Galaxy S3 / S4 / S5 / S6 Edge, Nexus 7, HTC One M8 and Sony Xperia Z series and some Android Tablets. Please contact us if your device is not supported. This is a free app about Android live wallpaper. It makes your android phone's screen more beautiful. It's not a screen locker ( Lock Screen ) or a launcher. Wish you love it and support us! Let's go and download it! You can share this free app to your friends by use Twitter, Facebook, LINE, Google+, QQ, Wechat and so on! 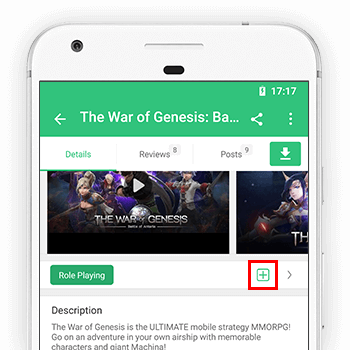 You can also give us some suggestions by Email to us or rate this app and leave comments on Play Store. We need your support to help us to develop more amazing live wallpapers for you!